A genetic disorder is caused due to abnormality in person’s DNA. 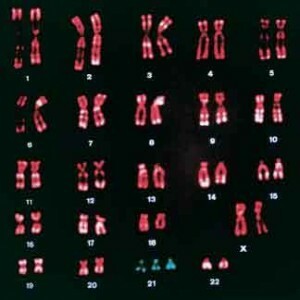 These abnormalities are infact mutations in the genes in which entire chromosome is added or removed. Mutation and variation both can cause gene mutation. Many types of cancers are caused due to genetic disorders in them i.e mutation in genes. Such mutations occur due to cigarette smoking and environmental exposure. Genes are named according to the disorder to which they are associated. If gene is linked with hereditary hemochromatosis is a genetic disease and the gene which causes it is called hemochromatosis gene. Sickle cell anemia is also a disease cause due to genetic disorder.